Karen Rollins is an environmental scientist and architectural technologist. She became involved with BEES through her volunteer work as Chair of the Alpine Club of Canada’s Energy, Water and Waste Management Committee. Karen is a business owner and consults in the field of indoor air quality and building envelopes. Affiliations include: distinguished lecturer for American Society of Heating Refrigeration and Air Conditioning Engineers (2007-2011), member of the Canada Green Building Council, member of Alpine Club of Canada’s Environmental Working Group, and lecturer for the University of Calgary’s Continuing Education Environmental Management Certificate Program. 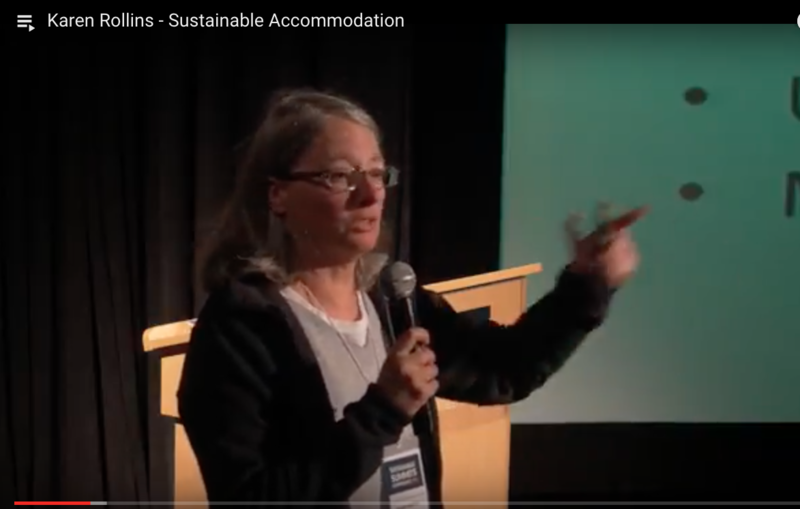 Karen was a speaker at Sustainable Summits Conference in Golden, CO. (2014), Thinking Mountains Conference at the University of Alberta (2012), UIAA Conference on Hut Technologies in Bormio Italy (2010), and Exit Strategies Conference in Golden, CO. (2010). Karen lives in Canmore, Alberta, Canada and enjoys rock climbing. Backcountry Energy Environmental Solutions (BEES) is a non-profit collaborative initiative formed to facilitate research, find solutions, and share information about energy, potable water, grey water, and black water at off-grid mountain facilities. Since 2005 BEES has been helping facility operators make choices that are functional, economical, culturally acceptable, and environmentally appropriate.